Spain or Croatia: which country is more expensive? This comparison of travel costs between Croatia and Spain examines average prices across multiple categories. Please visit each country's individual budget page for more detailed information. Should you visit Spain or Croatia? Spain remains one of Europe's most popular travel destinations and Croatia continues to grow in popularity. Both countries have a lot to offer visitors. There are beautiful coastlines, fascinating histories, and delicious food. Both Spain and Croatia are slightly more affordable than most European countries, but in general you're likely spend less on a trip to Croatia. Everything from accommodation to food and transportation are usually more affordable in Croatia than they are in Spain. Each country has it's own personality. Spain is a very diverse country. You can see the Arabic influence throughout. Croatia has fascinating old towns, particularly in cities like Dubrovnik, which is one of the country's top tourist destinations. When is the best time to visit Spain and Croatia? Both Spain and Croatia are beautiful places to visit during the spring and fall seasons when temperatures are pleasant and crowds tend to be less than during the peak summer months. The summer season can get crowded with travelers and cruise ship passengers and prices typically peak during these times. Why is Spain more expensive than Croatia? Both Spain and Croatia are popular tourist destinations, but in general, Spain attracts more visitors which makes costs a bit more expensive. Spain also uses the euro, while Croatia uses the Croatian kuna, so exchange rates help keep prices down. Croatia is also a bit more affordable because in many places you can find rooms for rent in the homes of locals. These rooms are usually very affordable, conveniently located, and offer a unique perspective on the country. 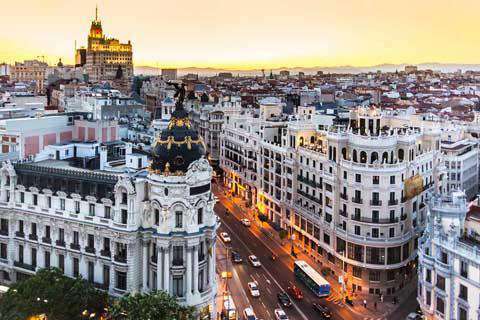 What are the most expensive and cheapest cities and regions in Spain and Croatia? In Spain, coastal cities and towns can actually be a bit more expensive to visit than the larger cities. The high demand for accommodation can drive prices up, particularly during the peak times when most visitors visit. 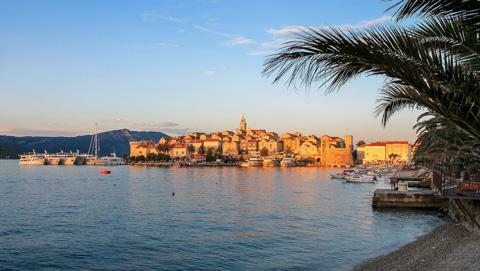 In Croatia, the most popular coastal towns tend to be the most expensive places to visit. Towns like Dubrovnik, where you'll likely see several cruise ships docked, have higher prices than more off the beaten path destinations. How you can save money when visiting Spain and Croatia? Prices in both Spain and Croatia are heavily influenced by the season in which you travel. Prices in both countries tend to be high during the summer months, so it's best to travel during the fall or spring seasons. Choose fewer places to visit and spend more time in those places to save some money. Just wander. Take a day or two to just explore a city or town on foot. Soak up the atmosphere without rushing through a museum or trying to hit all of the sights and attractions. Stay in local accommodation instead of major chain hotels. Local hotels and hostels tend to be cheaper and have a bit more character. Eat where the locals eat. Wander away from the main touristy areas to find restaurants that are delicious and affordable. By avoiding tourist traps you'll find good food for a fraction of the cost, and experience a more authentic side to the country.